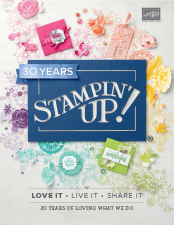 So here we are, butterflies are back in the new Stampin' Up! Catalogue and I am so chuffed. I cannot stop playing with this stamp and punch bundle so I decided to design my Class projects around this set.Project #1This is a simple 4 x 6" card using just a 1 inch strip of the… Continue reading Butterflies are back!